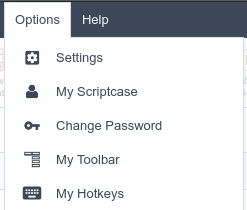 Allows you to change the default Hotkeys of your Scriptcase interface, offering to you more praticity and customisation to your development. To change the default hotkeys, you just need access the menu Options > My Hotkeys. 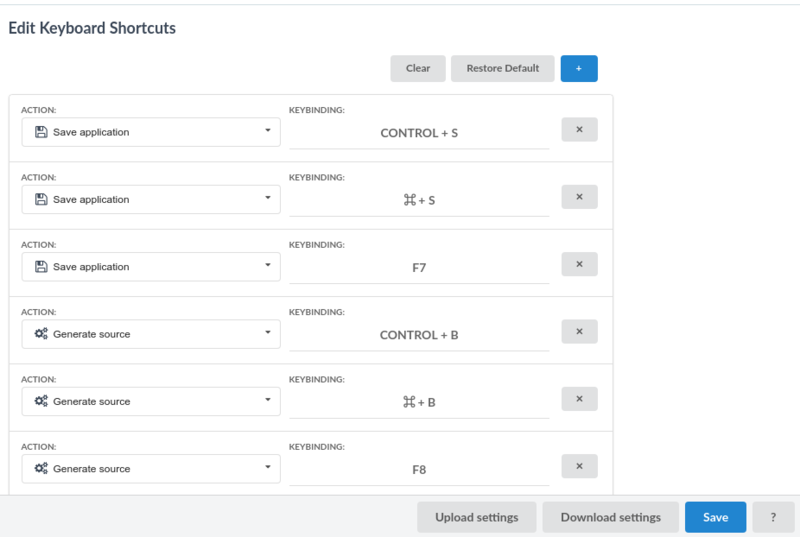 Clear: Clears all predefined settings by Scriptcase or by user. Restore Default: Restores all the default shortcuts that was changed or erased. Action: Selects the action that will be made when press the selected keybind. Add “+”: Adds a new action in the keybind list. Keybinding: Selects the keybinds that will be responsible for execute the chosen action. Upload Settings: Realizes the importation of the keybind settings exported. Download Settings: Realizes the download of the keybind settings in use.